Looking for cheap Olympia towing or cheap Lacey towing? Olympia towing rates and Lacey towing rates will vary depending on several factors. Unfortunately, there are many towing companies out there that use bait-and-switch practices, quoting you low to get your business and then adding on several charges when all is said and done. 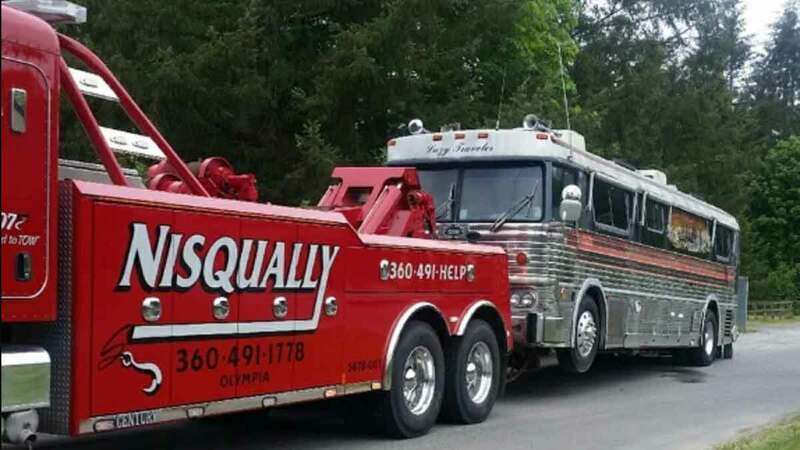 With over 3 decades of trusted local towing and over 160 years of combined experience, you can rest assured that Nisqually Automotive & Towing will deal honestly and fairly when providing a towing quote. Courtesy and Service is our motto. All of these factors can impact the cost of your tow, so it is essential we fully understand what your situation is to provide an accurate towing quote. Call 360-491-HELP (360-491-4357) to request expert and trusted local Olympia towing service and Lacey towing service.